One day after the launch of the United States Line’s America, German troops invaded Poland, this being the start of World War Two. 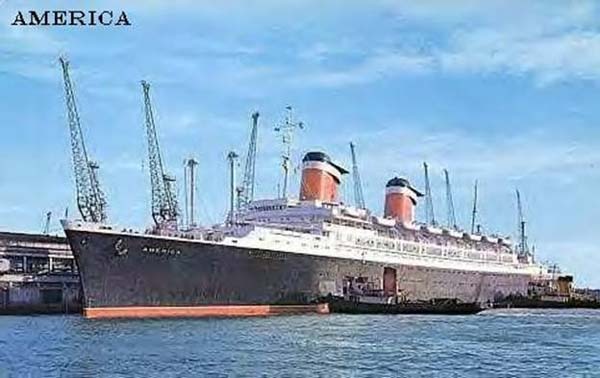 The war in Europe forced the United States Line to operate America on cruises out of New York - Caribbean from the time of her entering service, October 8th 1940. Following the Japanese attacks on Pearl Harbor December 7th 1941, US Authorities requisitioned America to serve as a troopship under the name West Point. Although West Point had a few close encounters with bombers and submarines during the war, she managed to survive unscathed. America finally set out on her intended route between New York, Le Havre and Southampton December 14th 1946. By 1964, transatlantic travel by liner had declined so dramatically the United States Line was forced to take America out of service. This led to the Greek/Chandris Line buying her to be operated on world cruises and to transfer emigrants from Europe - Australia under the name Australis. The American company Venture Cruises bought Australis November 18th 1977 to be operated under her original name America. With her interiors being seriously run down at that time, passengers on the first cruise demanded to be returned to port. This led to Venture Cruises being declared bankrupt and America being returned to the Chandris Line. 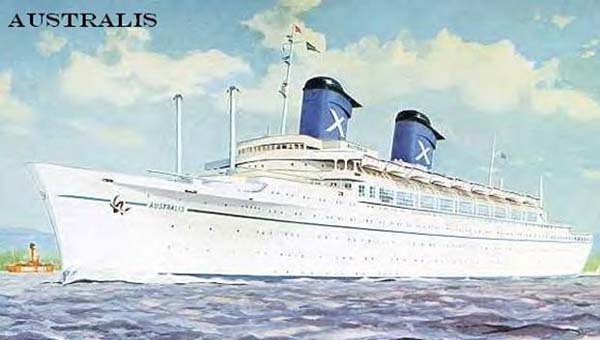 The Chandris Line had America undergo an extensive refit before operating her on cruises out of Barcelona under the name Italis. The aging Italis was sold twice in the 1980s to be used as a hotel or prison. With both projects falling through, the Chapeya Transport Company of Thailand bought her in 1994 for conversion to a floating hotel. Under the name American Star, she set out on tow from Greece bound for Thailand. Her towlines snapped after encountering heavy seas on that voyage January 15. 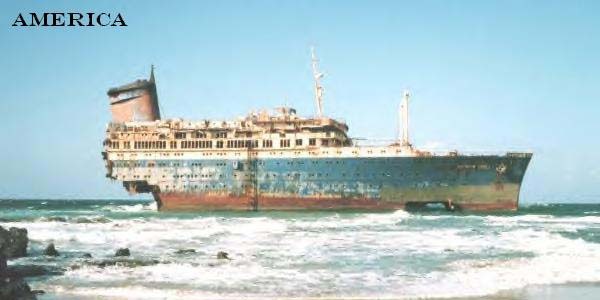 American Star then drifted out of control for three days before running aground on Fuerteuentura/Canary Islands. The wreck of American Star still lies at that spot today.